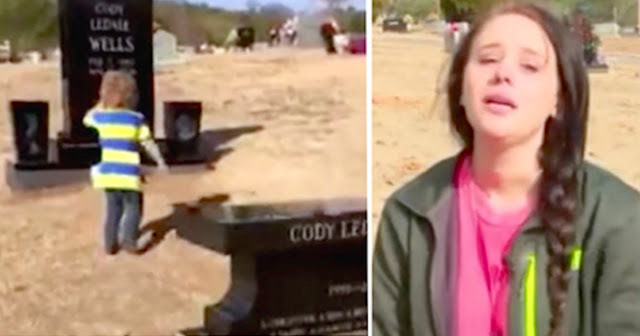 Cody Wells was only 23 years old when he drove off the road late one night in Alabama. His car collided with a tree and he died in the accident. Cody was survived by his girlfriend, Danielle, and their two-year-old son, Braxton. Cody's death was extremely hard on both of them. 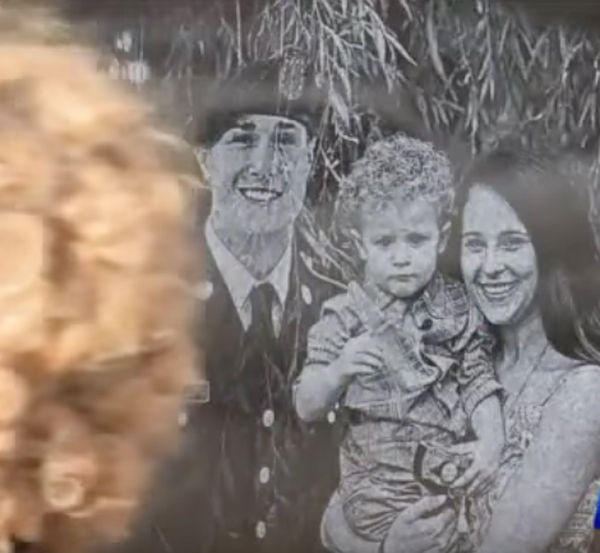 Little Braxton didn't understand why his father was suddenly gone, and Danielle was forced to raise the little boy by herself while dealing with the loss of her boyfriend. Danielle and Braxton visited Cody's grave every day at lunch. Then eight months after Cody's death, Danielle and Braxton found a mysterious present at his grave. The story behind it goes straight into my heart. It was Christmas Eve, the first Christmas after Cody's death. 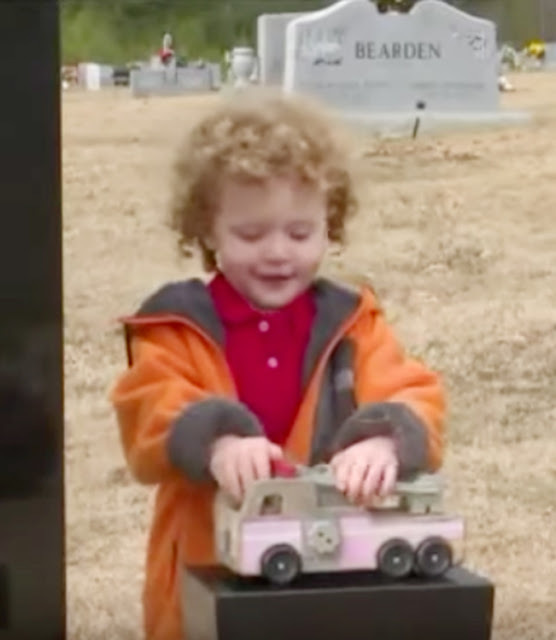 When Braxton saw the present, he ran joyfully toward the grave. 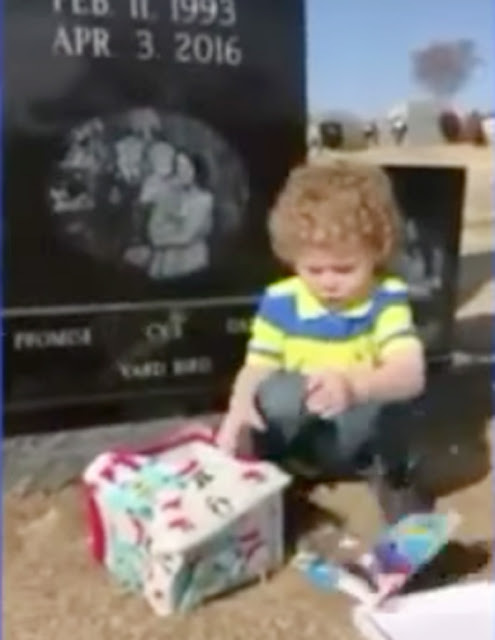 "He thought his daddy had flown down from heaven to surprise him," Danielle told WHNT News. The package contained toys for Braxton. The little boy was overjoyed by the presents and immediately started playing with them. Danielle would had given anything for the gift to have been from Cody, but she knew that was impossible. She later learned that a friend of the family had put the box at the grave. The person who left it also designed Cody's gravestone. "It's very special to know that there are actually still good people out in this world that want to do nice things for other people," Danielle said. It had been a long time since Braxton was that happy. The period after Cody's death was difficult for the family, and the Christmas present at the grave was a rare bit of sunshine in an otherwise grief-filled time period. "Just to see the smile on his face meant the world to me," Danielle said. It hurts my heart to read about this family's loss. No child should lose their dad at such a young age. Still, I'm glad Danielle and Braxton have so many people supporting them in their grief. Please share this story if you were also touched by Danielle's friend's kind gesture.